we want to celebrate with you! The Center for Advanced Sustainable Management had its first anniversary and in order to thank all our partners and friends we are inviting you to our “CASM Open Day”. 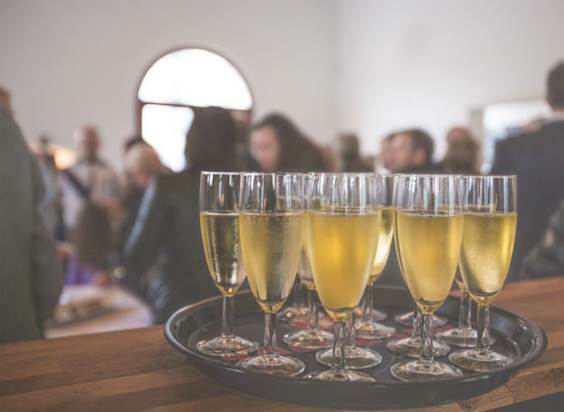 Moreover, the last month has been packed with interesting events and enriching encounters and many new occasions are coming up! Furthermore, we are excited to introduce to you our new visiting professor Kanji Tanimoto from Japan and our guest researcher Ardeshir Zamari from Iran. Lastly, we invite you to have a look at our latest publications! The Center for Advanced Sustainable Management celebrated its 1st anniversary on August 3rd, 2017 and only in this short time, it has become a leading institute in the field of Sustainable Management Education! As this would not have been possible without your collaboration and support, it is the perfect occasion to thank you all and to invite you to our “CASM Open Door” event. The celebration will take place in our new office space in Cologne on the 17th of October 2017, from 5PM to 8PM. During the evening, you will have the possibility to get an insight into the work and accomplishments of CASM and furthermore, we will present the winners of the Ethics and Sustainability Award. 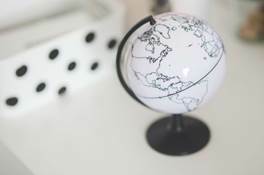 In addition, we will give a warm welcome to our new CASM team members, the visiting professor Kanji Tanimoto from Waseda University in Japan, Bowen Gu, a guest researcher from China, and Ardeshir Zamani, a guest researcher from Iran. If you are interested in celebrating together with us, please register HERE. The Center for Advanced Sustainable Management is proud to announce the visit of Kanji Tanimoto, Professor in Business and Society at the School of Commerce, Waseda University, Japan. He is the founder and president of the academy “Japan Forum of Business and Society”, which is the first academic society in this field in Japan. Furthermore, he is an editorial member of some journals and he has served on the program committee of the International Conference on Corporate Social Responsibility at Humboldt University. 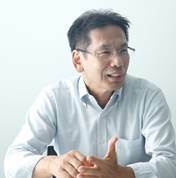 Furthermore, he has been consulting and providing advices to leading Japanese companies on CSR management over the last 20 years. He also has engaged in some Japanese Government committees on business & society and social business. His research interests are the relationship between business and society, corporate social responsibility, social business and social innovation and he has published numerous books and papers on these topics. During his time as a visiting professor at Cologne Business School, he will be involved in teaching activities and giving seminars at some major European universities. 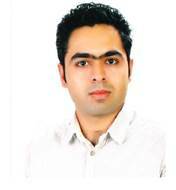 The Center for Advanced Sustainable Management is also happy to introduce to you Ardeshir Zamani, a doctoral candidate at the University of Teheran, Iran, who will support the team as a guest researcher for six months. He is a researcher of Strategic Management & Policy-Making at his university in Teheran and has been working in this field at a research institute. His research interests include new technology based firms (such as Nano or Biotechnology firms), household economic and sustainability. He has published several articles in international journals and conferences. 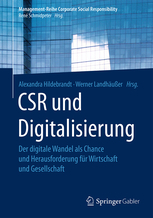 His current research at CASM is focused on CSR in new technology based firms and establishing a strategic collaboration between Iranian and German NTBF’s. Besides these rather academic undertakings, Ardeshir is in charge of operating a grants program and is a member in the Iranian Strategic Management Society and the Iranian Society for Training and Development. 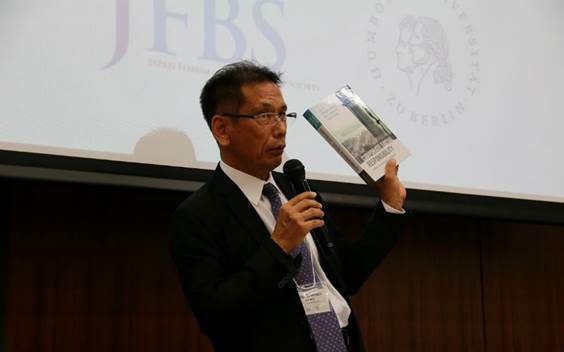 Tokyo, (Japan), September 7th – 8th: As founder and president of the JFBS, Prof. Kanji Tanimoto, currently visiting professor at Cologne Business School, organized the JFBS 7th Annual Conference in cooperation with the Humboldt-University Berlin. The topic of this year´s conference was “Sustainable Enterprise: Revisiting an Enterprise Concept” and in this respect, traditional business values were reviewed and various challenges and themes concerning business and society in both theoretical and practical manners were discussed. Prof. Dr. René Schmidpeter was in the Steering Committee of the conference and held the chair of the plenary session. 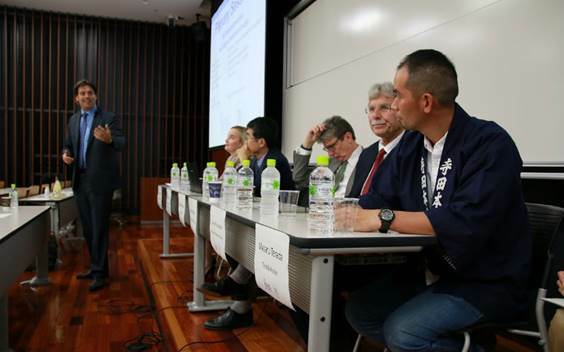 Tokyo, (Japan), September: Prof. Dr. René Schmidpeter held a guest lecture at the prestigious WASEDA University and got to know the Japanese perspective of Corporate Social Responsibility and Innovation through several vivid discussions and excursions. The exchange of knowledge and opinions was an enriching experience for all parties! 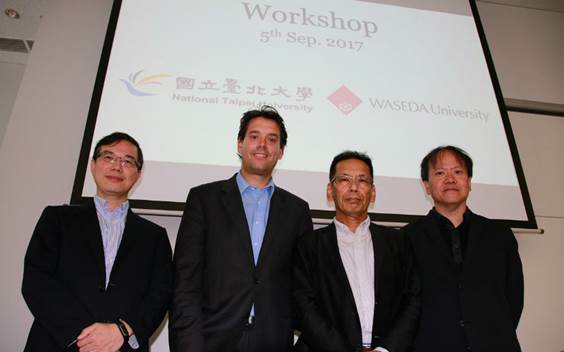 The picture shows him together with colleagues from WASEDA University and the National Taipei University. Bern & Magglingen (Switzerland) September 5th - 8th: The Institute of Sport Science of the University of Bern and the Swiss Federal Institute of Sport Magglingem hosted this important sport management conference this year. The main goal of the conference is to discuss challenges and developments of sport organisations and to establish stronger networks between representatives from international sport organisations, companies and educational institutions. 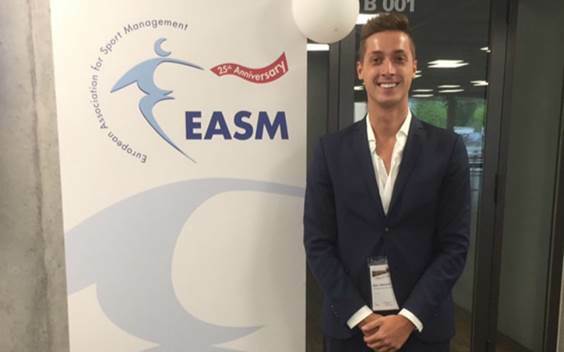 Marc Werheid from the CASM Team Football presented results and insights of the football related study “CSR in the German professional Soccer League” with strong focus on the potential interrelationship between Corporate Social Responsibility and sporting success. Hamburg, (Germany), September 25th - 29th: Along with interdisciplinary sustainability experts from all over the world, Viola Nyssen and Adeline Grafe from the Center for Advanced Sustainable Management attended the Hamburg Sustainable Development Summit (HSDS) 2017. Organized by the University of Hamburg, the conference concentrated on aspects of sustainable development at higher education institutions and especially on the implementation of the UN Sustainable Development Goals within education, research, governance, operation, and outreach initiatives. It was an excellent opportunity for the CASM to exchange, discuss and learn about new findings and methods in the given field. 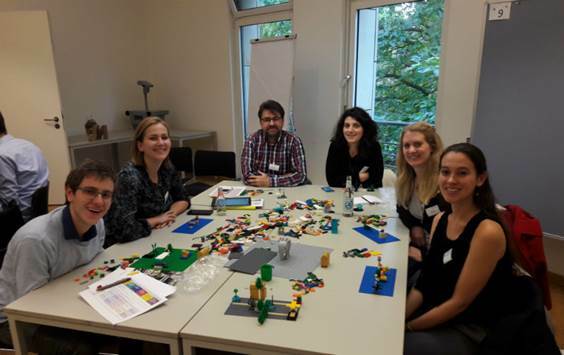 Photo: The university of the future - using Lego Serious Play as a method to envision a sustainable future. 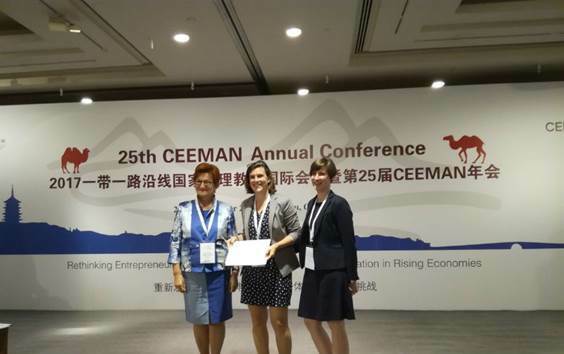 Hangzhou, (China), September: Monika Kolb and Marina Schmitz joined the 25th CEEMAN Annual Conference, hosted by the School of Management, Zhejian University. The conference topic was “Rethinking Entrepreneurship: Challenges for Management Education in Rising Economies” and gave an opportunity to discuss latest trends, key issues, opportunities and challenges in the areas of entrepreneurship, innovation, and sustainability and to see how business/management education can better support these processes to foster more effective entrepreneurship development around the world. Besides keynote addresses, presentations and highly interactive roundtables with speakers and participants, the conference included company visits and meetings with entrepreneurs in Hangzhou. In an official ceremony the CEEMAN President, Prof. Danica Purg, handed the CEEMAN Membership Certificate over to Cologne Business School. 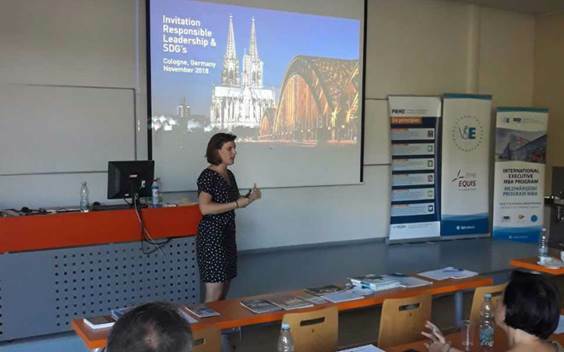 Monika and Marina invited all CEEMAN members and PRME CEE members to join the next year´s 8th Conference on Sustainability and Responsibility in Cologne. 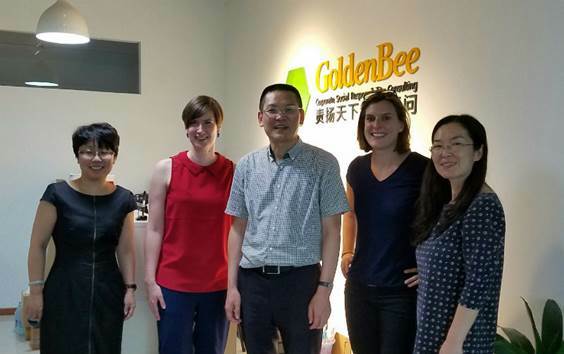 Beijing, (China), September 18th: Monika Kolb and Marina Schmitz from CASM had the opportunity to visit the well-known CSR network “Golden Bee”. During their talk with Mr. Gefei YIN, the founder and chief expert of Golden Bee Management Consulting Co.,Ltd., they exchanged ideas on how to increase the global visibility of CSR and explored future opportunities for collaboration. Prague, (Czech Republic), August: This year´s PRME CEE Chapter Meeting took place in Prague at the VSE. Monika Kolb as representative of the PRME DACH Chapter joined the meeting and invited the CEE colleagues to take part at the 5th responsible management education research conference in November 2018 in Cologne. The meeting was a full success and brought together the two European PRME Chapters to work closely interlinked. 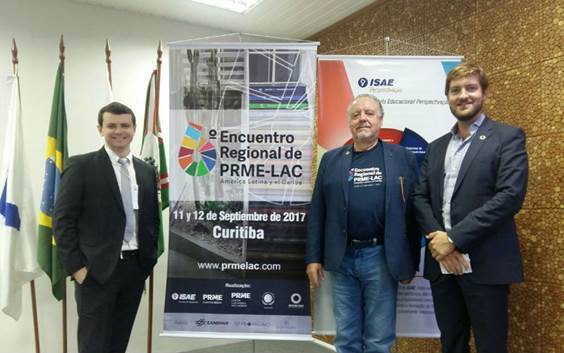 Curitiba, (Brazil), September 11th – 12th: The 6th PRME LAC Regional Meeting was held at ISAE / FGV headquarters. The objective of the meeting was to discuss the contributions of Latin American educational institutions for the achievement of the SDGs. Rodrigo Mello, member of the CASM team, attended the event as a speaker in the CSR in Latin America panel, which was moderated by Mr. Gabriel Boero from USAM (Universidad Nacional de General San Martin). The other speakers of the panel were Christian Hauser from HTW Chur/Switzerland and Al Rosenbloom from the Dominican University in the USA. 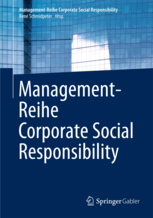 Rodrigo introduced his findings from his PhD research program so far and invited all participants to attend the 5th Responsible Management Education Research Conference and 8th International Conference on Sustainability and Responsibility in November 2018, Cologne. 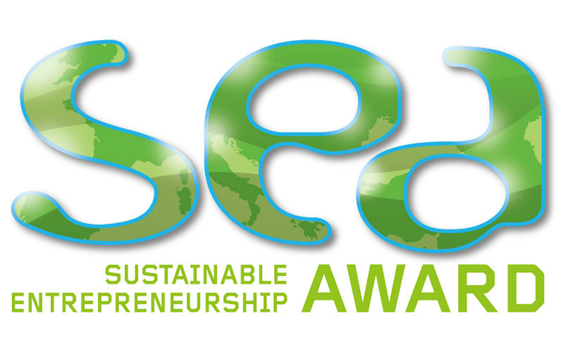 With the Sustainable Entrepreneurship Award, we are searching for people and companies who are shaping the world of tomorrow with their innovative, sustainable and profitable ideas and projects. We are happy to announce that in addition to the awards and the prize money of 10,000 euros our submitters have the chance to find an investor or get public funding. The best projects of the past can be found on our website. Innovative and sustainable entrepreneurs can use the free short submission. Submissions for this year are being accepted until October 31. Submit your project HERE! 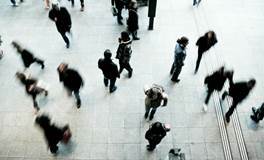 Cologne (Germany), September 20th: In cooperation with CASM, the Cologne Chamber of Industry and Commerce hosted the event: “Nachhaltigkeit: Neue Berichtspflicht kann auch Kleine treffen”. 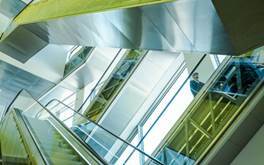 Small presentations and panel discussions elaborated the implications for SME with regard to the new mandatory sustainability reporting for big corporations, recently introduced by the German government. 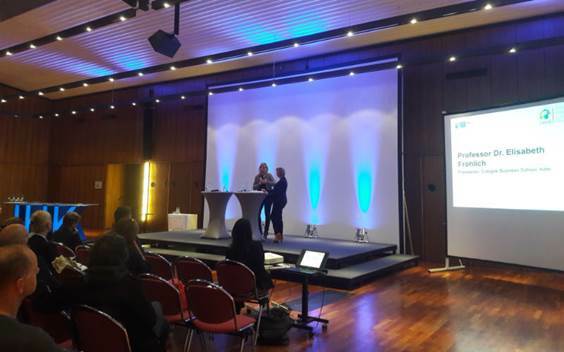 The president of the Cologne Business School, Prof. Dr. Lisa Fröhlich, attended the event as a speaker and presented the topic from the academic persceptive. 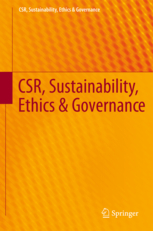 Implementing Sustainability as the new normal: Responsible Management Education - from a private business school's perspective has been published. 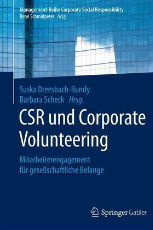 The authors Monika Kolb, Lisa Froehlich and René Schmidpeter outline the unique practice of sustainable management education at Cologe Business School. 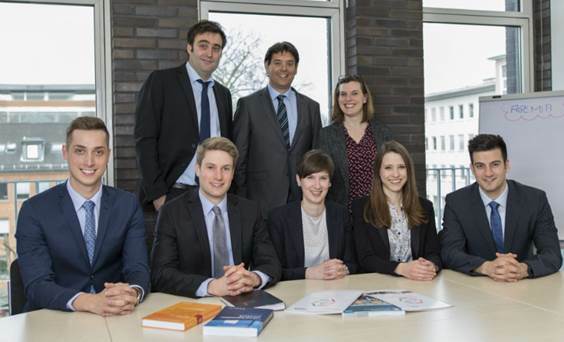 To read the full article published on the website of Cologne Business School FOR FREE, click HERE!